That's all from Holyrood Live for this week. The Scottish government motion, as amended, is passed unanimously. MSPs unanimously back the Hydro Nation debate amendments from Labour but reject the Conservative amendment. 32 MSPs voted for the Tory amendment, but 74 voted against. International Development Minister Alasdair Allan says many millions around the world do not have clean drinking water and good sanitation. Mr Allan says he met women in Malawi who said climate change meant they had to walk several more miles to get water. He says Hydro Nation is helping in Malawi and contributes to the Climate Justice Fund securing clean water for people. The minister says the Scottish government does similar good work in India. International Development Minister Alasdair Allan says this debate has been a wide ranging discussion and very useful. Mr Allan also highlights the ice cream sharing between Jackie Baillie and Bruce Crawford. He stresses the importance of water to life and of the Hydro Nation strategy to Scotland. Scotland the Hydro Nation - First Annual Report - Towards A Water Economy. Scotland the Hydro Nation Prospectus and Proposals for Legislation Consultation. One of the UK's last killer whales was contaminated with "shocking" levels of a toxic chemical, scientists say. The animal, called Lulu, was found dead on the Isle of Tiree in Scotland last year after becoming entangled in fishing lines. But tests now reveal her body contained among the highest levels of polychlorinated biphenyls, or PCBs, ever recorded. The chemicals were banned from the 1970s but are still in the environment. Tory MSP Maurice Golden says his party will support the motion and amendments from the hydro debate. Mr Golden reaffirms his party's commitment to protecting and harnessing Scotland's abundant water resources. He welcomes the Hydro Nation Strategy. Mr Golden says the debate has largely been consensual. Water pollution should be of concern, he says, highlighting the case of Lulu the whale. Labour MSP David Stewart says Hydro Power is the grand old man of renewables. Mr Stewart says there are opportunities for a new hydro revolution. He says Scotland has a proud record in hydro power and he says there is so much more to achieve. 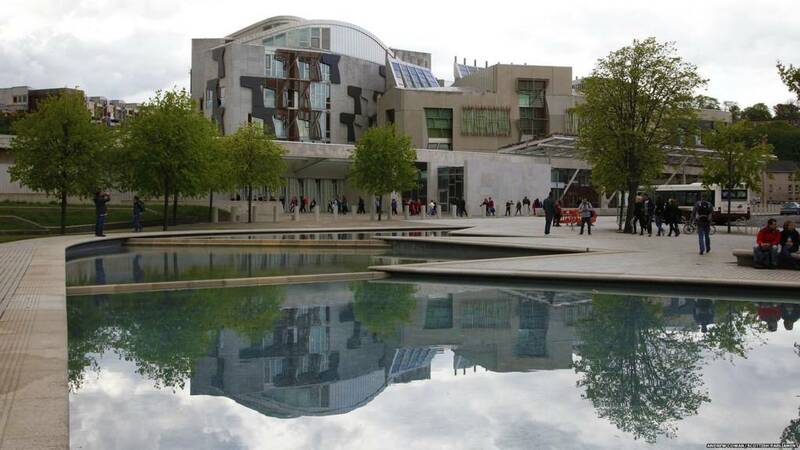 The Labour MSP says sustainable development of hydro power can help tackle climate change. Scottish ministers have committed to making Scotland a Hydro Nation and they have underpinned that commitment with their statutory duty in the Water Resources (Scotland) Act 2013 to "take such reasonable steps as they consider approptiate for the purpose of ensuring the development of the value of Scotland's water resources". The government says the hydro-economy provides huge opportunities for Scotland which we are determined to seize. It says establishing Scotland as a Hydro Nation will maximise the benefits to the Scottish economy through the economic development and good stewardship of Scotland’s abundant water resources. Lib Dem MSP Liam McArthur says as the MSP for Orkney he needs no persuading how Scotland's destiny is shaped by water. Mr McArthur stresses the importance of wave and tidal energy. He says there is real potential to grow hydro power and there is also an opportunity through pump storage, but he adds there needs to be new routes to storage. Mr McArthur says he was delighted to see the Labour amendment highlighting the Climate Justice Fund and the work in Malawi. Green MSP Mark Ruskell highlights the quality of Scotland's water and the EU directives that have protected the standards. Mr Ruskell says it is vital they remain. He says he is concerned about future Scottish governments rolling back on these standards. Mr Ruskell says Scottish Water must be kept in public hands. Renewable energy potential .....and rain! SNP MSP Maree Todd says the renewable energy potential could transform her region. Ms Todd, a member for Highlands and Islands, cites the annual rain fall as making the burns near Ullapool very energetic. She says water is centre to the potential of the area's resources. Labour MSP Jackie Baillie says she has hydro schemes in her own constituency that contribute to the local economy. Ms Baillie says hydro power is used to supply 12% of Scottish energy and she says their is huge untapped potential. Labour MSP Claudia Beamish welcomes the new Hydro Nation update report. Ms Beamish says water resources support industries, support tourism, help wellbeing and of course we drink it. She highilghts the canal system and the work of Scottish Canals. The Labour MSP says Scottish hydro projects offer and exciting opporunity.